The Care Plus Tick Test is the only test available that lets you determine whether or not the tick that bit you is a carrier of the bacteria that causes Lyme disease. 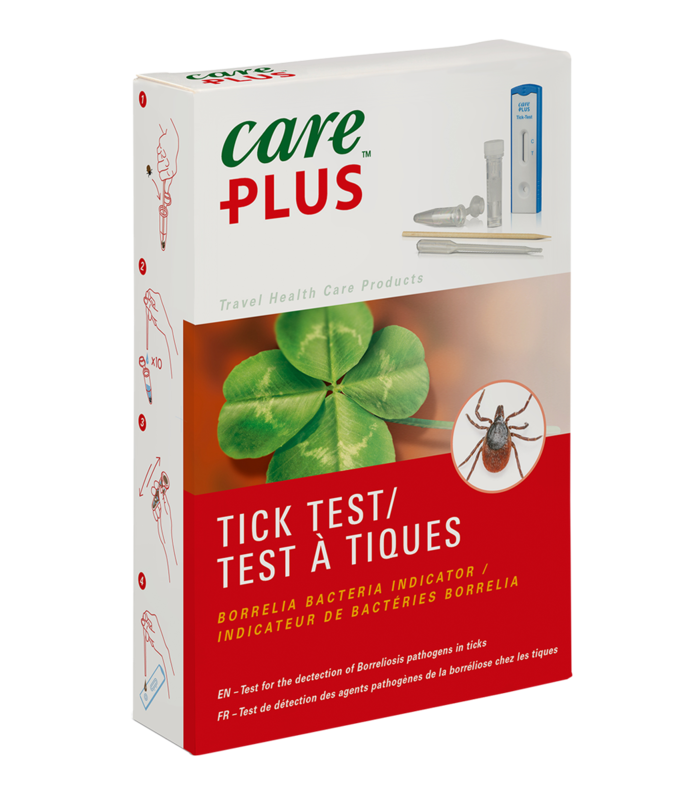 The Care Plus home tick test can be used immediately after the tick bite letting you know in as little as 10 minutes whether or not to seek healthcare professional attention. Lyme disease is a debilitating illness. It may be easily treatable if diagnosed early but if left untreated, it can cause serious chronic illness. Lyme disease is the most common disease spread by ticks. It is estimated to affect more than 300,000 people a year in North America.